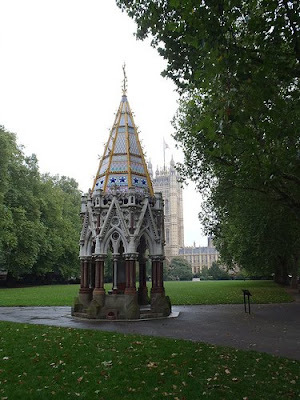 Often forgotten in an area full of memorials, The Buxton Memorial Fountain stands in Victoria Gardens, just South of the Houses of Parliament. 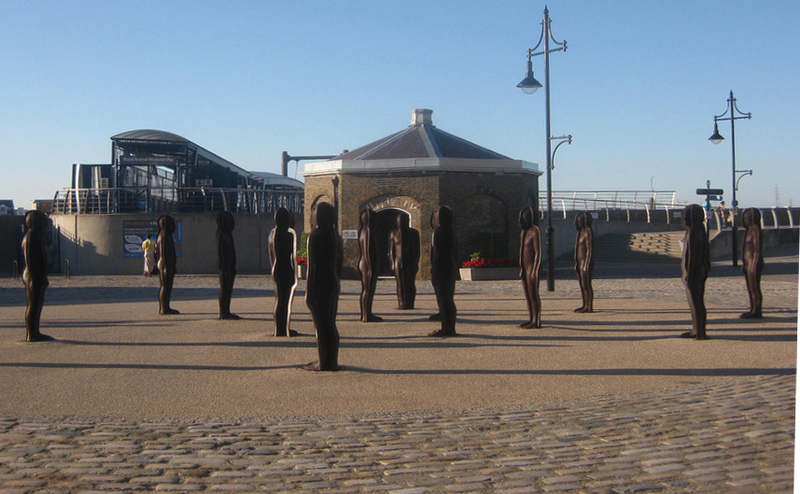 It was constructed in 1834 to celebrate the emancipation of slaves in the British Colonies. Designed by Samuel Sanders Teulon, the fountain was commissioned by Charles Buxton MP, son of anti-slavery campaigner Thomas Fowell Buxton, and originally stood in Parliament Square. 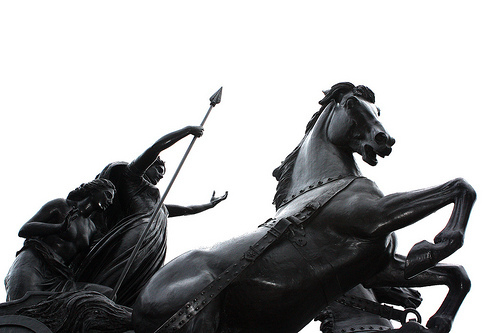 When, in 1949, the Government put forward a scheme to redesign Parliament Square, the fountain had to be moved, and following a campaign by the Anti-Slavery Society, it was moved to the Gardens in 1957. A former Courage pub, now owned by Enterprise Inns, the Dacre Arms is a great little pub in South East London, very worthy of the praise it seems to get in various places on the internet. Your author believes the Dacre Arms is run by landlord Terry Freak, and its snug interior makes it feel like a proper local pub, with friendly locals (particularly of the small canine variety), lots of wood and locally relevant pictures, and a nice garden out the back. Established by Simon Khachadourian, and opened in 1998, the Pullman Gallery in St James' specialises in late 19th and early 20th Century objects, at prices that are well beyond the sorts of prices that ordinary people like us can afford. 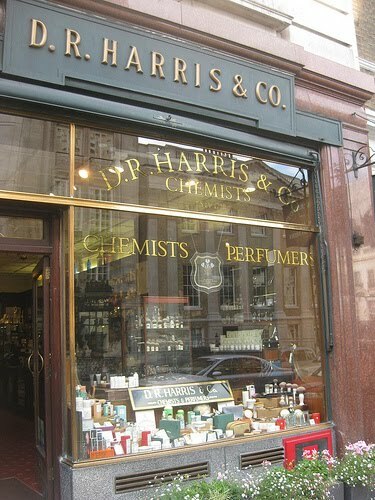 Nevertheless, there are some interesting art deco objects on display, and so your author would suggest this is the sort of shop where window-shopping is appropriate. They can't stop us looking in the windows, can they? 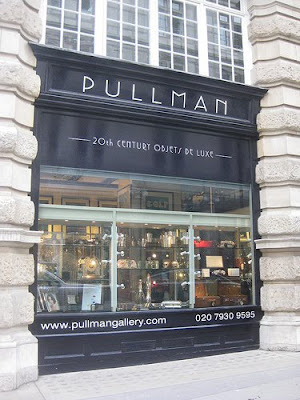 The Pullman Gallery prides itself on having a good selection of Art Deco cocktail shakers, but also stocks all manner of fairly pointless frivolities like bar and smoking accessories, small-scale sculpture, automobile bronzes, scale racing car models, vintage posters and car mascots. 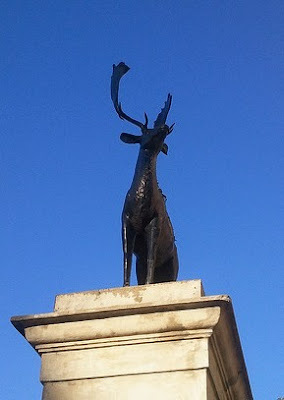 Guarding the Albert Gate to Hyde Park are two bronze stags which we are told once graced the Piccadilly entrance to the Deputy Ranger's Lodge in Green Park. Apparently designed by Peter Turnerelli, and based on prints by Bartolozzi, the stags stand on tall plinths, which are attached to the garden walls of the adjoining buildings. News reaches your author that a festival kicked off yesterday in a place called 'South Westminster'. Though it seems pedantic to suggest any more accurate terms to describe where it is being held, the first clue is that it is being organised out of the Pimlico Resource Centre. 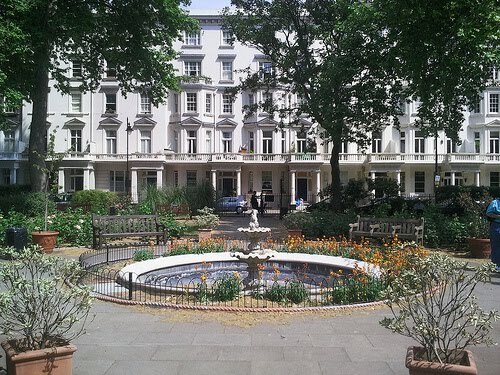 Today, there's a Festival Gala Day - held partly in Pimlico's St George's Square and partly in the Pimlico Academy - as well as a Carnival procession around the streets of Pimlico, and last night saw the staging of a Pimlico Proms. The Festival lasts for two weeks, ending with the St Saviour Pimlico Summer Fair, on Saturday 9th July, and a production of Shakespeare's 'A Winter's Tale' back in St George’s Square, at the heart of Pimlico. It all begs a question about where this festival is actually being held. 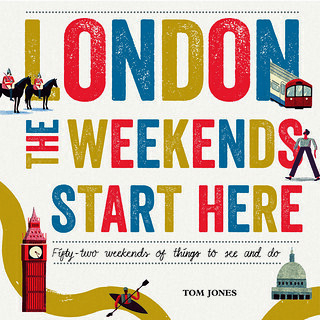 Your author knows of another place in Westminster beginning with a 'P', but is having trouble placing 'South Westminster' in the A to Z. It's good this Festival of Britain 60th Anniversary. There's loads of new bits at the Southbank Centre including - in the bowels of the Royal Festival Hall - a new museum, teaching us all about the Festival of Britain itself. The Museum of 51 displays various artefacts from the original festival, and has a brilliant collection of bits and pieces from around the country which show how much the Festival was a national event, with countless Councils and local organisations still represented in the displays sixty years later. There is also a small cinema showing films from the original Festival and even models to show how the site was made up. It really is worth a visit, and it is free. Established in 1974, the Warwick Leadlay Gallery sells historical maps, images and artefacts from two twin shops in Greenwich Market's Nelson Arcade. The rich mixture of historical maps and local images from various ages makes it an interesting place to browse, and the knowledgeable staff are always on hand to help you out if you're looking for something special. 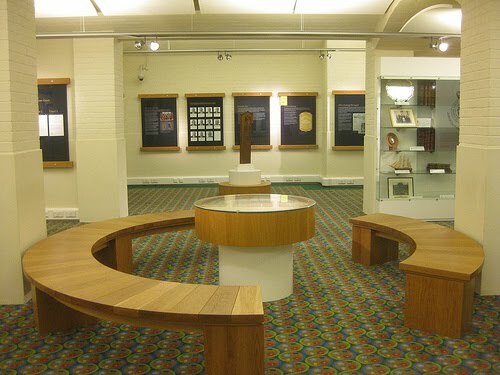 In the basement of the Supreme Court on Parliament Square, is an exhibition open to the public, with information about the work of The Supreme Court and the Judicial Committee of the Privy Council. The Court is housed in the Middlesex Guildhall building, a Grade II* listed building which was converted for the Court at a cost of £59 million, and opened for business in October 2009. You can also watch court hearings upstairs, but more on that another time. 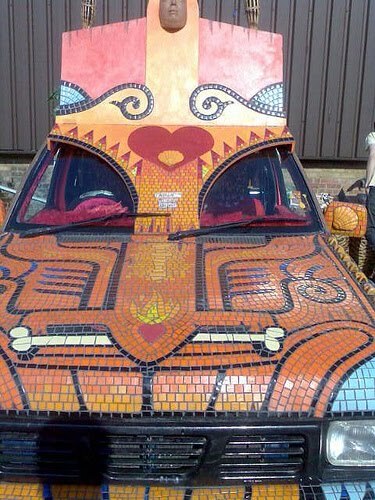 The confusingly named Vauxhall Art Car Boot Fair is being held today, not in Vauxhall but predictably in the yard just off Brick Lane in the East End. 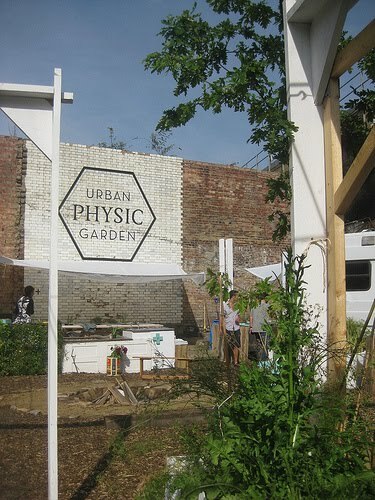 It doesn't really sound like your author's sort of thing, with organisers at pains to express what a great 'concept' it is, and how plots only available by 'invitation and referral only' from existing ‘booters’, but there is art from the likes of Damien Hirst, the Chapman Brothers, Marcus Harvey, Harland Miller, Bob and Roberta Smith and Ryan Mosley so it will certainly appeal to some. 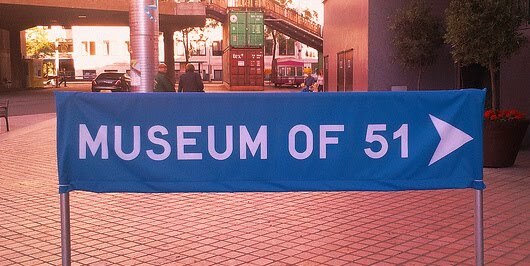 Rumour has it that Tracy Emin's ‘Emin Industries’ will also be having a boot at the event. It all kicks off from noon. For more information, visit http://www.artcarbootfair.com/. 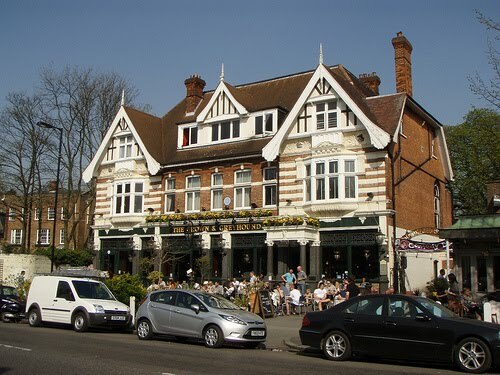 When the two pubs which once dominated Dulwich Village - The Crown, used by the labourers, and The Greyhound, used by the gentlemen - were demolished, the grand Crown and Greyhound was built in their place as the beautiful heart of Victorian Dulwich Village. It remains today, owned by the Dulwich Estate and characterised by high ceilings, deep relief plasterwork and original fittings, with partitioned areas dividing up its interior. Once home to a branch of the British Poetry Association, set up by local poet, Lionel Monteith founded in 1949, for a while it was a centre for poetry, with meetings held at the Crown & Greyhound attracting guest poets such as Stephen Spender, Laurie Lee, Dannie Abse, Marie Stopes and Michael Croft. 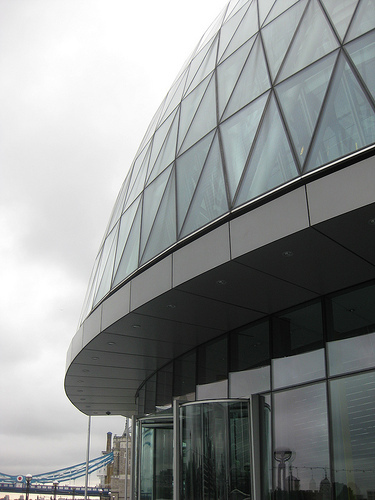 This morning from 10am, Mayor of London, Boris Johnson, faces London Assembly Members for one of the Mayor's regular question time sessions. The meetings take place at City Hall, and is free and open for members of the public are invited to attend. 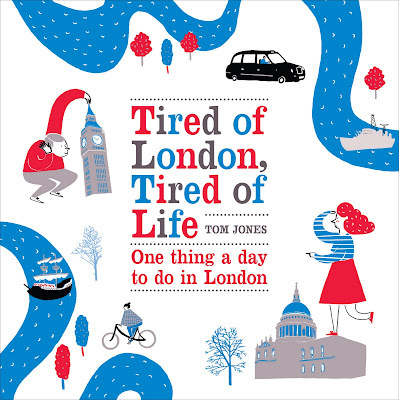 This morning's session will see Boris facing questions on the London Survey, the Crossrail Station at Kensal Green, night flights at Heathrow Airport, the cost of the Cable Car, Redbridge Roundabout, night time deliveries during the Olympics, and the new Routemaster. 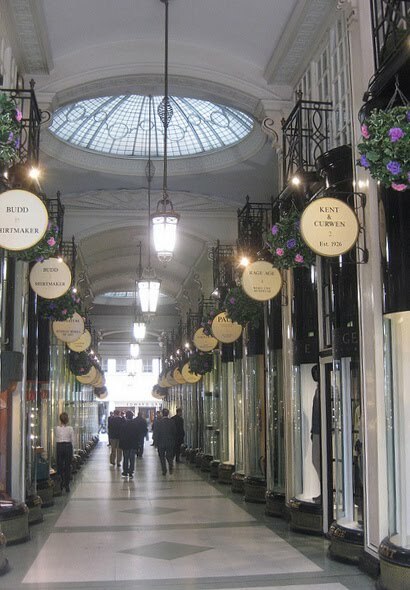 Designed by Scottish architect, George Tharle Jell, and opened in 1910, the neo regency Piccadily Arcade links Piccadilly and Jermyn Street in Central London. 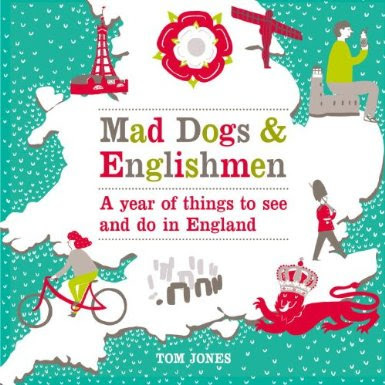 It is home to sixteen interesting specialist stores, including classic tailors Benson & Clegg, military medal experts The Armory of St James's, and Russian Art importer Iconastas. Most of the shops open Monday to Saturday, but are closed on Sundays. 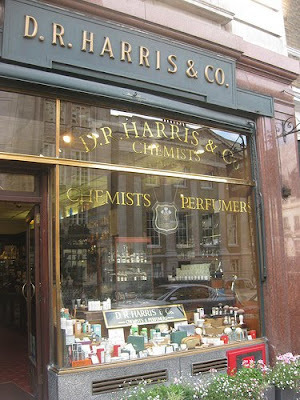 For more, see http://www.piccadilly-arcade.com/. 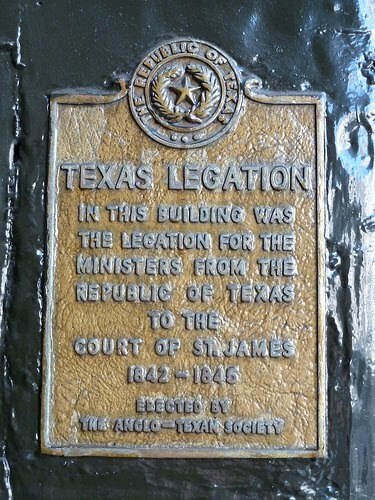 Whilst London does have a much more prominent building pretending to be a Texan overseas mission, a tiny sign on Pickering Place marks the place of a real Texas Legation. The sign marks the site of the base from which representatives of an independent Republic of Texas liaised with the British Government from 1842 until the state joined the United States on 28th December 1845. Billed as the largest open contemporary art exhibition in the world, The Royal Academy's annual Summer Exhibition is always an interesting insight into the world of new art, and is now in full swing at Burlington House, on Piccadilly. 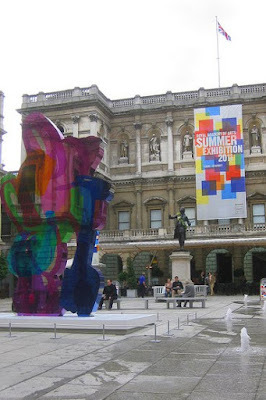 The exhibition has been running since 1769, when it began in a warehouse on Pall Mall, and the modern exhibition draws together a huge range of new works by various artists, curated by an rotating committee of Royal Academicians, with different people curating rooms. It really is a great insight into what's going on in art, and when your author visited on Thursday, he was impressed by the sheer range of works covering every wall. 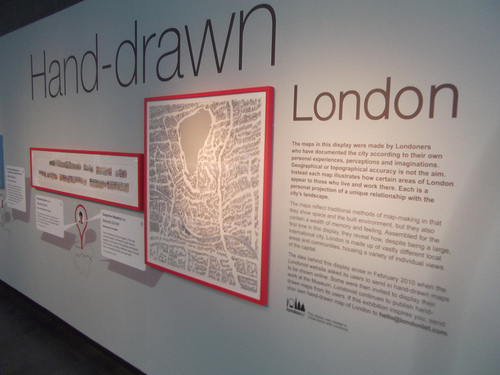 Although, his inner London-knowledge-seeker was a bit too mesmerised by the models of future crossrail stations in the architecture room to be healthy. Though your author has visited Eel Pie Island before, on most days the only accessible area is the bridge, and a small path that picks its way through the attractive mishmash of little houses and studios. That is why it is so exciting that visitors are being given one of their rare annual opportunities to properly explore the island this weekend and next. 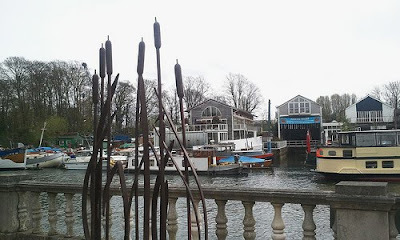 Alongside the various homes, the private island at Twickenham is home to 26 artists studios, arranged in and around the island's working boatyard. These are real working artists' studios, rather than galleries, and you will, we are told, be given an opportunity to talk to the artists and purchase or commission new works of art. Your author spent yesterday afternoon browsing a handful of West London's private art galleries, and was particularly impressed by the exhibition by Johnny Morant currently being shown at the Tron Gallery. Though Morant is the same age as your author, he possesses infinitely more talent. A London-based artist, celebrated for his interesting representations of light and space using oil paints. 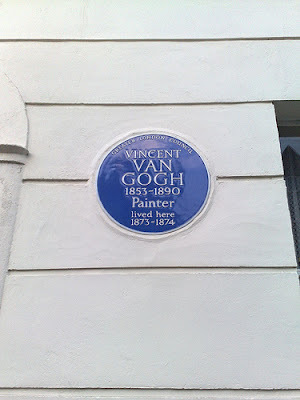 His paintings are rather London-centric - including scenes from the South Bank Book Market, the Market Coffee House, and Ye Olde Cheshire Cheese, amongst others - and perhaps that was why they appealed, but they certainly possessed an intrinsic beauty. Charles Dickens died 9th June 1870, at an age of just 58, and to commemorate this, the Dickens Fellowship has organised a celebration of Dickens in the City, with various events taking place. 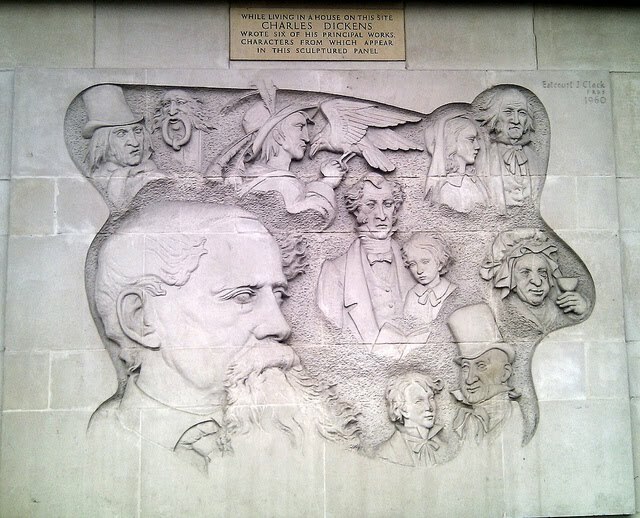 This morning, guided Dickens Walks leave the Royal Exchange in the City of London, pausing at St Michael’s Cornhill for a themed Dickens reading, and this is followed by lunchtime music and drama at Leadenhall Market, led by Gerald Dickens, Charles' great-great-grandson of Charles Dickens. 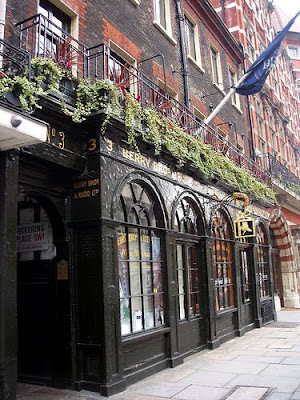 There are also events all day at the Charles Dickens Museum at 48 Doughty Street, an afternoon guided walk and a ceremony and wreath-laying at Westminster Abbey in the evening. 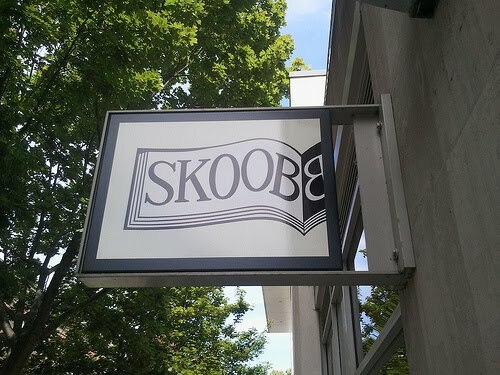 Skoob Books, in the Brunswick Centre in Bloomsbury, is a brilliant second hand bookshop which boasts 55,000 different books over 2000 square subterranean feet underneath Waitrose. 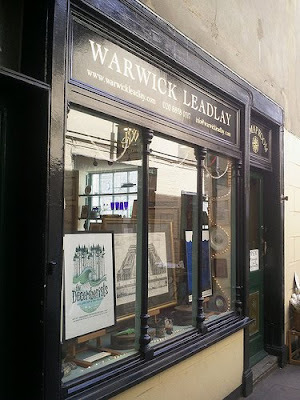 Alongside this, the shop also has a million books lurking in a warehouse in Oxfordshire, from which they draw their stock, so it is obvious that this is a committed shop. Skoob books has been a leader in London's second hand book market for more than thirty years, and in 2010 won a prize from one of the many magazines about London, who declared it London's best bookshop. 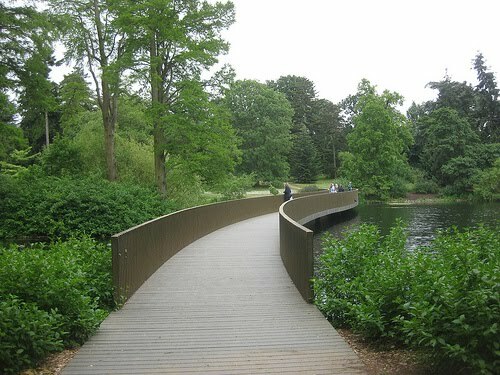 The Sackler Crossing, in Kew Gardens, is the only crossing on the main lake, installed in 2006 following a donation from Dr Mortimer and Theresa Sackler whose donation funded the bridge. Designed by the architect John Pawson, it has a mesmerising curved appearance, and its sides are made of bronze posts which, whilst preventing wayward children from falling into the lake, blocks much less of the view than you might expect. Your author visited Kew last week, thankfully as a guest of the Gardens, and is aware it is rather expensive to do so. However, there are many interesting features to see, and it would be easy to spend a day there. 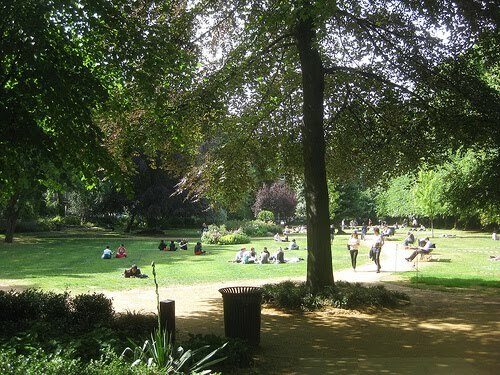 Your author spent a day recently amongst the buildings of the University of London around Bloomsbury, and one of the most atmospheric spots was Gordon Square Garden, surrounded by tall trees with a sunny open area in the middle, occupied by a range of relaxed people. During the first part of the 20th Century, the garden was a focal point for the Bloomsbury Group, with the Stephen siblings (including Virginia Stephen, later Woolf) living at number 46 from 1904 to 1907 and held regular open Thursday 'at homes' for literary figures and intellectuals. The square now largely houses university buildings, and was restored in 2006 with the help of the University and a grant from the National Lottery. Your author is off to the country this weekend*, to celebrate an amount of time since he was younger. 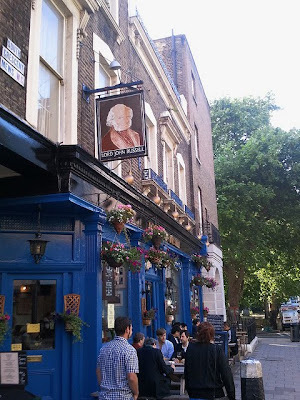 During those years in the country, a disproportionate amount of time was spent in a pub called the Lord John Russell, but like everything London has its own, on Marchmont Street in Bloomsbury. The pub is named after Lord John Russell, 19th century Prime Minister, advocate of the 1832 Reform Act, and famous grandfather of Bertrand Russell. 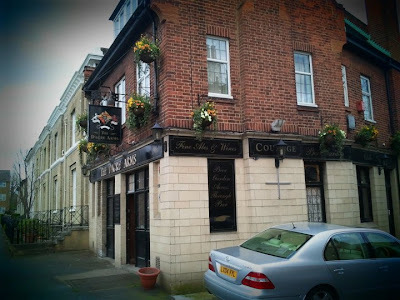 The excellent pub guide fancyapint tells us that the premises began their life as a whisky merchant, where buyers came to sample the wares, at a long bar divided into cubicles. Today, it's just a good pub, with a range of ales, space to sit outside and a good atmosphere, even if the gents toilets do leave a little to be desired.